What Kind of Doctor Treats Preeclampsia? When Should I Seek Medical Care for Preeclampsia? Can Preeclampsia be Cared for at Home? What Is the Aftercare for Preeclampsia? What Is the Prognosis for a Woman with Preeclampsia? Preeclampsia is a complication of pregnancy that is associated with high blood pressure. Other signs and symptoms include swelling (edema) and protein in the urine. The exact cause of preeclampsia is not well understood. Preeclampsia occurs any time after the 20th week of pregnancy. It can even occur after the birth of the baby, but preeclampsia after delivery is much less common that during pregnancy. Around 5%-14% of pregnancies are complicated by preeclampsia. Preeclampsia may range from mild to severe. There is no cure for preeclampsia; however, delivery of the baby typically resolves the symptoms. The diagnosis of preeclampsia is made by measuring blood pressure as well as blood and urine tests. Tests to monitor the health of the baby are also routinely performed. Risk factors for developing preeclampsia include multiple gestation, maternal age over 35, history of high blood pressure, obesity, and diabetes. Preeclampsia is a condition associated with high blood pressure during pregnancy. It is a serious complication of pregnancy characterized by the development of high blood pressure, edema (swelling), and protein in the urine. Women diagnosed with preeclampsia may also complain of blurred vision, headaches, and experience greater than normal weight gain. Preeclampsia is a serious complication of pregnancy associated with the development of high blood pressure, and edema (swelling), and protein in the urine. Women diagnosed with preeclampsia may also complain of blurred vision, headaches, and experience greater than normal weight gain. Preeclampsia occurs any time after the 20th week of pregnancy. It can even develop up to six weeks after the baby is born (the postpartum period, referred to as postpartum preeclampsia) but this is uncommon. Toxemia or toxemia of pregnancy are names that have been used to describe preeclampsia. Worldwide, it has been estimated that 5% to 14% of pregnancies are complicated by preeclampsia. Preeclampsia usually occurs in a woman's first pregnancy, but may occur for the first time in a subsequent pregnancy. In the U.S., 3% to 6% of pregnancies will be complicated by preeclampsia. Less than one in 100 women with preeclampsia will develop eclampsia or convulsions (seizures). Up to 20% of all pregnancies are complicated by high blood pressure. Complications resulting from high blood pressure during pregnancy, preeclampsia, and eclampsia may account for up to 20% of all deaths that occur in pregnant women. The various changes and symptoms that occur with preeclampsia vary according to the organ system or systems that are affected. These changes can affect the mother only, baby only, or more commonly affect both mother and baby. Some of these symptoms give the woman warning signs, but most do not. The most common symptom and hallmark of preeclampsia is high blood pressure. This may be the first or only symptom. Blood pressure may be only minimally elevated initially, or can be dangerously high; symptoms may or may not be present. However, the degree of blood pressure elevation varies from woman to woman and also varies during the development and resolution of the disease process. There are also some women who never have significant blood pressure elevation. The kidneys are unable to efficiently filter the blood (as they normally do). This may cause protein to be present in the urine. The first sign of excess protein is commonly seen on a urine sample obtained in the health care professional's office. Rarely does a woman note any changes or symptoms associated with excess protein in the urine. In extreme cases affecting the kidneys, the amount of urine produced decreases greatly. Nervous system changes can include blurred vision, seeing spots, severe headaches, convulsions, and even occasionally blindness. Any of these symptoms require immediate medical attention. Changes that affect the liver can cause pain in the upper part of the abdomen and may be confused with indigestion or gallbladder disease. Other more subtle changes that affect the liver can affect the ability of the platelets to cause blood to clot; these changes may be seen as excessive bruising. Changes that can affect the baby can result from problems with blood flow to the placenta, and therefore, the baby does not receive proper nutrients. As a result, the baby may not grow properly and may be smaller than expected, or worse the baby will appear sluggish or seem to have decreased activity. Call the doctor immediately if the baby's movements decrease. No one knows exactly what causes preeclampsia. It is believed to be a dysfunction in the lining cells of blood cells (endothelial cells). Since what causes preeclampsia is not known, no effective tests predict when preeclampsia will occur, and no treatments prevent preeclampsia from occurring (or re-occurring). Some factors are known to increase as woman's risk of developing preeclampsia. Other medical problems (such as connective tissue disease and kidney disease). For unknown reasons, African American women in the US are more likely to develop preeclampsia than white women. Preeclampsia may run in families, although the reason for this is unknown. Preeclampsia is also associated with problems with the placenta, such as too much placenta, too little placenta, or how the placenta attaches to the wall of the uterus. It also may be associated with a hydatidiform mole, in which there is no normal placenta and no normal baby. There is nothing that any woman can do to prevent preeclampsia from occurring. An obstetrician-gynecologist (OB-GYN) who provides prenatal care may also treat a woman with preeclampsia. In some case a high-risk OB-GYN specialist may be consulted. Some health-care professionals who care for pregnant women may treat preeclampsia. Elevated blood pressure is the usual finding that indicates mild preeclampsia, and is considered to occur when the blood pressure is equal to 140/90 on two measurements, at least six hours apart without any evidence of organ damage. Markedly elevated blood pressure often exists with severe preeclampsia, and is considered to occur when blood pressure measures at or above 160/110 twice, at least six hours between measurements; also there are other criteria that suggest severe preeclampsia (for example, pulmonary edema, severe proteinuria, oliguria (decreased urine flow), liver damage, and others). If a woman experiences any of the above symptoms call the health care practitioner immediately and expect to go to the office or hospital. If the patient has their own blood pressure device at home, report this reading to the physician. However, do not substitute a home blood pressure reading for a physician visit. Be sure to review all of symptoms and concerns with your health care professional. The health care professional should check the patient's blood pressure, weight, and urine at every office visit. If the health care professional suspects that the patient has preeclampsia, he or she will order blood tests to check the platelet count, liver function, and kidney function. They will also check a urine sample in the office or possibly order a 24-hour urine collection to check for protein in the urine. These results of the blood tests should be available within 24 hours (if sent out), or within several hours if performed at a hospital. The well-being of the baby should be checked by placing the patient on a fetal monitor. 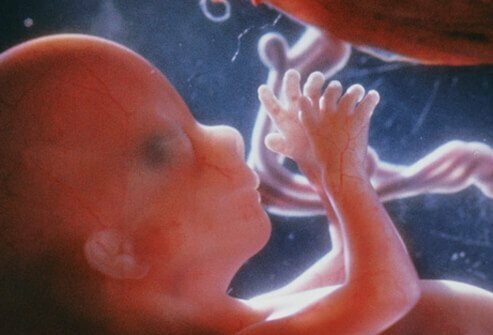 Further tests may include nonstress testing, biophysical profile (ultrasound), and an ultrasound to measure the growth of the baby (if it has not been done within the previous 2-3 weeks). Preeclampsia has no cure except for delivery of the baby. However, delivery may not always be the best option at the time preeclampsia is diagnosed. The treatment that the patient receives depends the severity (mild versus severe) of the associated symptoms and the stage of the pregnancy. The closer the patient is to her due date, the more likely the cervix will be ripe (ready for delivery), and that induction of labor will be successful. Sometimes medications are given to help induce labor. Earlier in pregnancy (24-34 weeks), there is less chance of a successful induction (although induction it is still possible). It is more common to have a cesarean delivery when preeclampsia necessitates delivery early in pregnancy. Sometimes preeclampsia is too severe and/or the baby shows signs of compromise, such as decreased fetal heart rate, and thus an immediate cesarean delivery must be performed. If the disease is severe and the baby is premature, the patient may first be given a medication called betamethasone (a corticosteroid) to help mature the baby's lungs before the baby is delivered. If the disease is more severe and immediate delivery is not required, the patient may be admitted to the hospital for bed rest and closer observation of the patient and the baby. If the disease is mild, the patient is early in the third trimester, or both, she may be sent home for bed rest with close follow-up with the health care professional office. If the patient is at or near term (at least 37 weeks), expect either that labor will be induced or a cesarean delivery will be performed. The decision to induce labor or perform a cesarean delivery will be made by the obstetrician depending upon the patient's health, the baby's health, and the condition of the woman's cervix (which is a factor in whether induction of labor is likely to be successful). Also remember that a change in either the patient's condition or the baby's condition can occur quickly. If this happens, notify the health care professional immediately and expect management to change as well. If preeclampsia is suspected during a pregnancy, do not try to self-diagnose and treat at home; see the obstetrician as soon as possible. If the doctor suggests home care, try to get help with household chores and assistance watching other children if the patient is sent home on bed rest. The doctor may recommend that the patient or caregiver take and record blood pressures at home and provide the patient with instructions if certain symptoms or blood pressure levels occur. If questions or problems occur, call the obstetrician. The patient may require medication to treat her high blood pressure during labor or after delivery. It is unusual to require medication for high blood pressure after six weeks following delivery (unless the patient has a problem with high blood pressure that is unrelated to pregnancy). Most likely, during labor (and for a while after delivery) the patient will be given a medication called magnesium sulfate. This is to decrease the chances of the patient having a seizure; in addition magnesium is indicated for severe preeclampsia and in treatment of eclamptic seizures (IV magnesium sulfate). If the baby is very premature (less than 34 weeks), the patient may be given a medication called betamethasone to help mature the baby's lungs. Medications such as oxytocin (Pitocin) or prostaglandins are given to induce labor and/or ripen the cervix. Just as there were no tests to predict or prevent preeclampsia, there are no tests to predict whether preeclampsia will recur in a subsequent pregnancy. Unfortunately, in a small number of women, preeclampsia will recur. This chance seems to increase if preeclampsia was particularly severe or occurred very early in pregnancy (late second trimester or early third trimester). Although, there are no tests to predict this occurring, the patient should be monitored more closely during a subsequent pregnancy. Most women will have positive outcomes for their pregnancies complicated by preeclampsia. Some women will continue to have problems with their blood pressure, and will need to be monitored closely after delivery. Most babies do well. Babies born prematurely usually stay in the hospital longer. A rule of thumb is to expect the baby to stay in the hospital until his or her due date. Unfortunately, a few women and babies experience life-threatening complications from preeclampsia. Eclampsia (tonic-clonic seizures or coma during pregnancy or postpartum) is an infrequent complication but it has a mortality (death) rate of about 2% and may severely damage the fetus. A woman who had preeclampsia near term in one pregnancy has a risk of about 10% for developing preeclampsia in a subsequent pregnancy. Those who had severe preeclampsia have about a 20% risk of preeclampsia in subsequent pregnancies. A second pregnancy with the same father reduced the incidence of preeclampsia, while a subsequent pregnancy with a different father may increase the risk of having preeclampsia again. Having preeclampsia during pregnancy can also increase a woman's chances of having high blood pressure later in life. Research has shown that women who had preeclampsia have a 4-fold greater risk of having hypertension later in life than women who did not have preeclampsia. A woman's risk of stroke later in life is also twice as high if she had preeclampsia. A woman who may have signs of early or mild preeclampsia will have her blood tested to detect additional signs of preeclampsia, and a woman who has preeclampsia may have specific blood tests ordered to help assess her health. The woman's health-care professional will review the laboratory tests for the following since these may be signs of preeclampsia. Please describe your symptoms of preeclampsia. Please share your experience with preeclampsia. What medications or other treatments did you receive for preeclampsia?